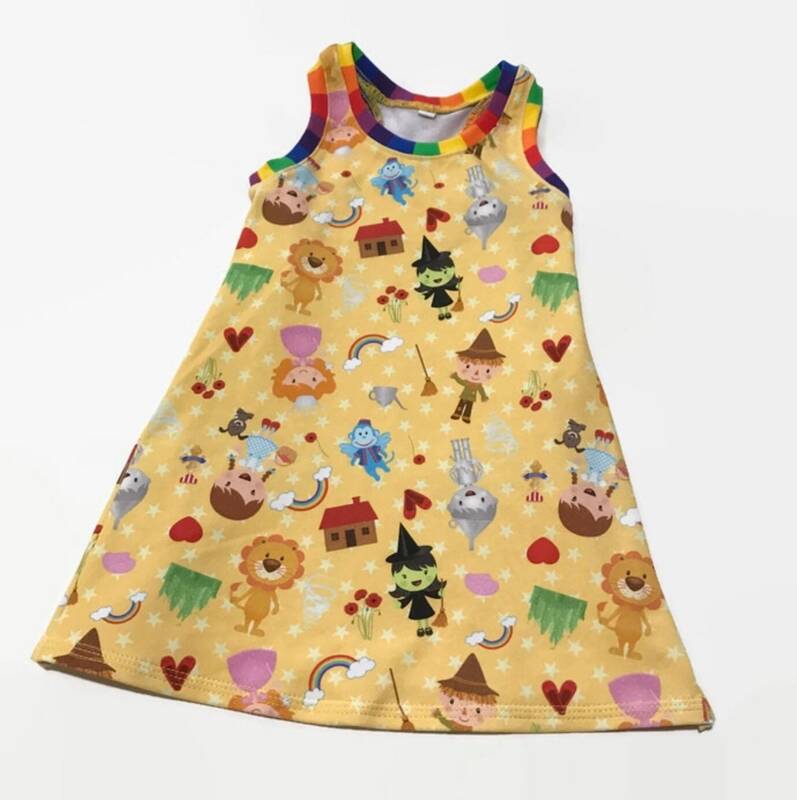 This adorable Racerback tank dress features bright colorful characters your little one will love against a pale yellow background. Made of cotton/lycra for soft stretchy comfort. Seams are serged for durability. Size 1. Are size chart for fit. My daughter loves it! Fit is great, most likely will get use out of it next summer too!